Mercedes-Benz is floating on that in-between period between the Geneva Motor Show and New York Auto Show by unveiling its refreshed GLC Coupe. We already had a good look at the exterior changes for this crossover with the debut of the standard GLC-Class just a couple weeks ago at Geneva, featuring a slightly revised grille with new headlights and fascia up front. Similarly, the CLC Coupe wears a mild update at the rear with a molded diffuser and angular exhaust outlets that are a bit more prominent. 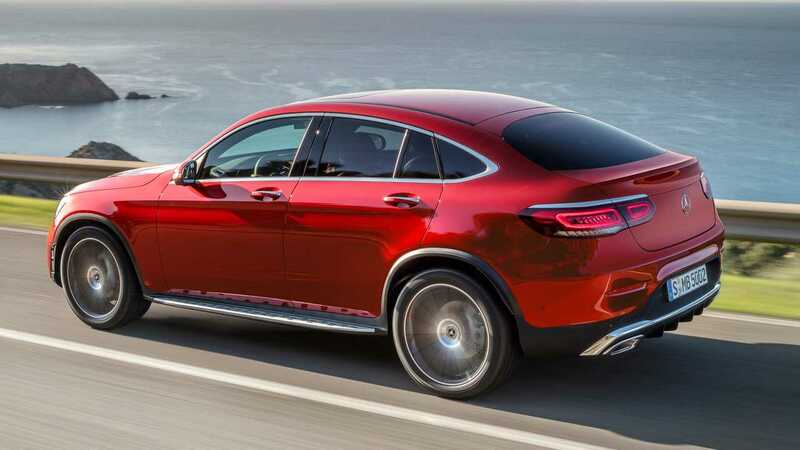 Further up the back, the GLC Coupe wears redesigned taillights as well. The differences are a bit more noticeable inside – but only a bit – just as they were on the GLC SUV in Geneva. A new multifunction steering wheel greets drivers and is available in two versions, both of which offer convenient hands-on controls for operating a range of systems. Behind the wheel is a larger 12.3-inch display, and looking towards the center of the dash you’ll see a larger 10.25-inch touchscreen. Further down the center console you’ll see the rotary dial from the previous-generation GLC is gone – everything is operated now either through the steering wheel controls, the touchscreen, through voice commands, or via the gesture/movement recognition of the GLC’s MBUX Interior Assistant. Speaking of which, The GLC Coupe gets the benefit of the latest-generation MBUX system. Beneath the skin the new GLC Coupe is much the same as the outgoing model, with one notable exception. A revised 2.0-liter four-cylinder turbocharged engine is available, producing 255 horsepower (190 kilowatts) and 273 pound-feet (370 Newton-meters) of torque. That’s a 14-hp bump from the current model, and should be enough to scoot the new GLC to 60 mph in roughly six seconds. Though the refreshed GLC Coupe officially breaks cover today, the slope-roofed SUV will make its public debut in just a few weeks at the 2019 New York Auto Show. Pricing for the new GLC Coupe isn’t available, but Mercedes-Benz says it will go on sale in the U.S. late this year. Stuttgart. Just a few weeks after unveiling the GLC SUV, Mercedes-Benz is presenting the redesigned GLC Coupe. The next generation of the successful model skillfully and intricately combines the sportiness of a coupe with the functionality of an SUV. The result is a vehicle for individuals who seek a vehicle with extraordinary looks, the greatest possible freedom and pioneering technology. Innovative technologies, intelligent driver assistance systems and a newly enhanced engine make the Coupe a paragon of sportiness, safety and efficiency. 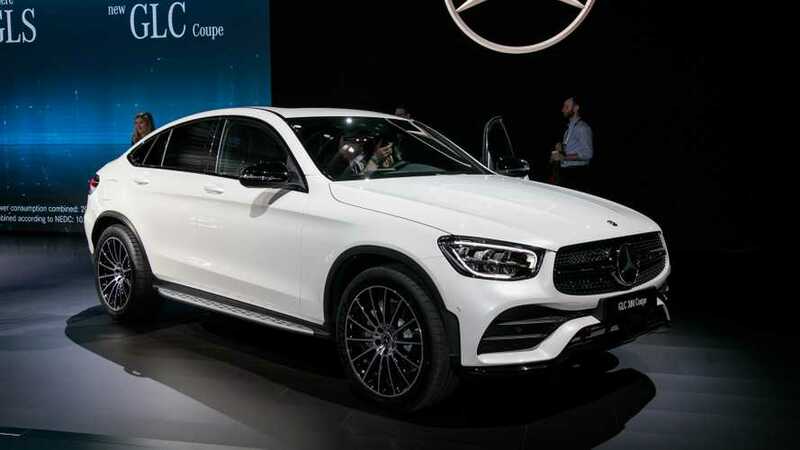 The redesigned GLC Coupe will celebrate its World Premiere at the New York International Auto Show in April and will go on sale in the U.S. by late 2019. GLC Coupe's sporty appeal while maintaining the benefits of an SUV. armrest. It has a premium feel and an exceptionally high-caliber build quality. completely revised multifunction steering wheel is available in two versions. well as the acoustic input feedback sets new standards for convenience. 2.0-liter inline-4 turbo engine capable of 255 hp and 273 lb-ft.
guard and tailpipe trims as well as full-LED taillamps. user interface makes the GLC Coupe state-of-the-art. the vehicle stay in its lane and change lanes. by braking if the driver fails to see oncoming traffic. International Auto Show in April and will go on sale in the U.S. by late 2019.